The home inspection is the visual examination of the home. The Coastal Home Inspectors detected the home issue and home component injury by inspection and note down it in the home inspection report. Our Home inspectors Cape Coral FL offers the home inspection services by their professional skills. Home Inspection is a really important factor before buying and purchasing the home and another kind of property. 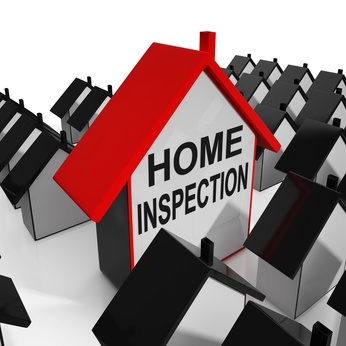 Before buying the property you should inspect your home through professional home inspectors. By getting home inspection services in Cape Coral FL you will get the more benefit in getting or selling property or home. After inspection, you will know all the essential factors and conditions of the home that helps more in purchasing and selling. We at coastal home inspectors inspect yours from top to bottom and it's core part that have more beneficial for long term survival. Home inspectors Cape Coral FL always use the latest technology equipment’s for best inspection and always main the effectiveness of the inspection. we inspect mold, living room, radon test, roof basement, water leakage and many other aspects to be inspected and separately countdown in the home inspection report . Our home inspectors are the professional and certified. We are working over there for many years in Cape Coral FL. You can get service of a home inspection by just calling us at any time of the day. We resolution of meeting and then inspection of your home with you. By getting our professional Home inspectors Cape Coral FL service you can protect yourself from many hurdles that you may face in the future regarding your selected home. At the very end of our inspection service, our home inspectors starting elaborate home inspection report. This flaws containing report write about all the discovered defects that are in the home whether in its systems or structures. With our report, you will get a clean and clear view of the real situation of your selected home. Our Home inspectors Cape Coral FL does not end here. We are available to you for further any services or testimonial that you want from us. We will also provide you useful suggestion about how you can maintain the home if you buy it. So, we ask you that isn’t it useful to have a thorough home inspection before actually purchasing the home? A home inspection will cost you less but it will save your large amount of investment from getting wasted. Coastal Home Inspectors have licensed home inspection company that provides you only professional Home inspectors Cape Coral FL. Our home inspectors are certified and professionally trained to perform any kind of home inspections. You can always rely on our complete home inspection services and make a home purchase with complete confidence and satisfaction of mind. Read More About Home inspectors Cape Coral FL!